Our VPN services guide for 2019. Discover the top 5 best VPNs for torrenting which support payments in Bitcoin (or other cryptocurrencies). Why Do I Need to Pay With Bitcoin? How Does Using Bitcoin Help? If you are into torrenting, you probably know that some big and powerful forces (like the movie companies) don’t like the practice. 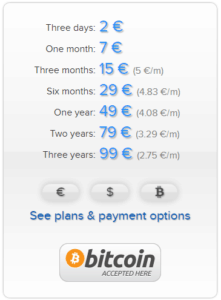 What is the best VPN for torrenting that accepts Bitcoin payments? Find out below! Although it is only a type of peer-to-peer file sharing, torrenting is often used to illegally download copyrighted content belonging to those big and powerful forces. Because it isn’t hard to see the IP address of someone downloading a file this way, copyright owners can monitor this and lean on ISPs (Internet Service Providers) to help them punish the user. This could result in things like being banned from using your account at the ISP for some time, even lawsuits against the user. In this article, we will look at why you want to use a VPN when torrenting, and why you may want to pay for your VPN account with Bitcoin (BTC) or other cryptocurrencies. 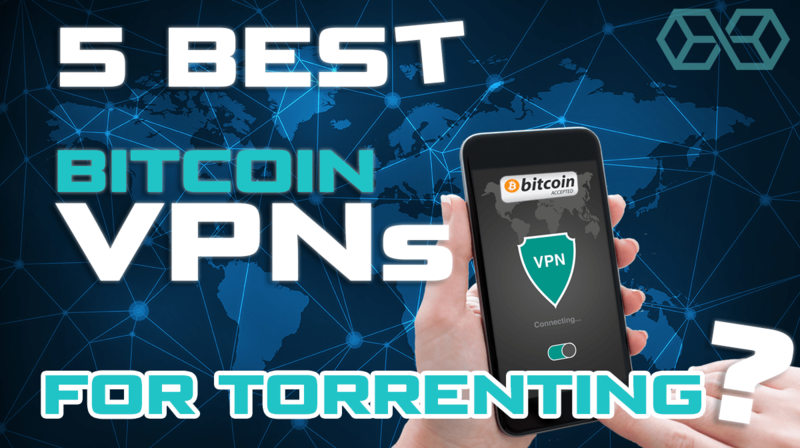 Then we’ll look into what is the Best VPN for torrenting and provide 5 top examples that allow you to further protect your identity by paying with Bitcoin. Using a VPN when torrenting offers several benefits. First, you can torrent without leaving your IP address exposed to a hostile Internet. When you torrent through a VPN, the IP address that the world can see belongs to one of the VPN’s servers, not to your computer. Your ISP can see that you are using a VPN but can’t see what you are using it for. The VPN can see what you are doing online, but they have much more incentive to protect that information than an ISP does. VPN use is legal in virtually any country on Earth. The odds of your ISP shutting you down or reporting you to the authorities are much lower than for someone who is visibly torrenting something. Another advantage of using a VPN when torrenting is that some countries have blocked access to popular torrenting sites from IP addresses within their territory. The top VPN services have servers located throughout the world. You can easily change the server you are using with your VPN. This lets you access “forbidden” content from some country where it is not forbidden and get around your government’s censorship. It must allow file sharing (torrenting). For whatever reason, some VPNs don’t support / won’t allow file sharing. It must have good protection against exposing your IP address. This includes features like a kill switch that is activated by default, strong encryption, and no DNS or IPv4 leaks. It must be fast. A super-secure VPN that is too slow to stream effectively is a VPN that gets turned off. It should keep minimal logs. All VPNs need to record some information for at least a short time as part of their normal operations. But less is better. The marketing term, “a no-logs VPN” is a good starting point for research. It should use shared IP addresses. Having dozens, even hundreds of users all appear at the same IP address makes it much harder for a copyright holder or some snoop to pick out specific individuals among the flood of messages. It should be located in a country that protects online privacy. Ideally a different country than the one you live in. A VPN can be forced by its local government to turn over logs it already has on you. It can also be forced by local law enforcement or espionage organizations to start logging your activities without notifying you. It must accept anonymous payment in Bitcoin or other cryptocurrencies. While most of these are pretty clear, we need to look at the Bitcoin (or other cryptocurrencies) requirement more closely. A good VPN will protect your privacy within reason, but there are limits to what they can do. Every VPN provider is required to obey the laws of the country they are based in. Many VPN providers will do whatever they can to avoid revealing information about their users. But when it all comes down to the end, few VPN owners or operators will be willing to go to jail to protect you from a lawful request for information. VPN services may also be affected by the laws or extralegal practices of countries where their servers are located. For example, you might be living in the USA and using a VPN provider based in a country that has a good reputation for online privacy. A VPN provider based in such a country probably won’t honor a demand for logs or other information about you from the USA. But if you are using one of the VPN’s servers located in the USA, the operator of that particular server may be bound by US law. In addition, any server located in the USA is surely monitored (and maybe hacked) by the NSA and other US intelligence agencies. One of the main ways that a VPN service tries to protect you is by keeping minimal logs of your activities. A service can be forced by the local government to turn over all their records of your activities online. So they can protect you by keeping few or no logs of your activities. But relying on a VPN’s claims that they keep no logs requires you to trust your privacy to total strangers. And these no-logs claims are not always true. Even if a VPN doesn’t keep any logs of your online activities, one thing they do need to keep is your billing information. 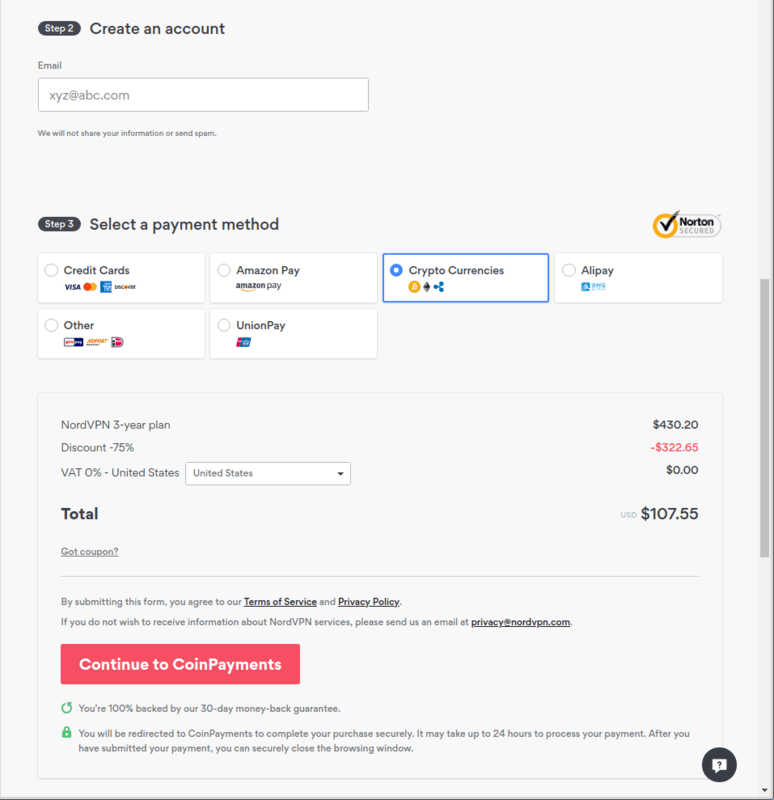 If you pay for a VPN service with a credit card, check, PayPal, and so on, you can be identified. While this won’t tell the bad guys what you are doing online, it does make it easier. Here is a really simplified example. Imagine that you use a VPN to frequently visit a site that is banned by your government. 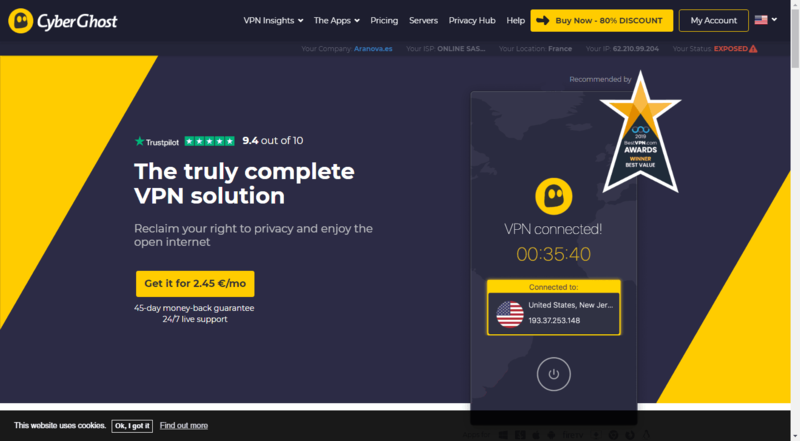 Knowing that you use a specific VPN service might allow them to show that the only time anyone from this VPN service connects to that site is when you are online. If nothing else, it could be enough circumstantial evidence for you to wake up to a bunch of guys with guns busting down your door in the middle of the night to seize your computer and throw you in jail. Paying for your VPN subscription with Bitcoin adds an additional layer of privacy protection for you. Several VPN services allow you to set up an “anonymous” account with only an email address to identify you. By using a throw-away or disposable email account for the signup process, and paying for the subscription with Bitcoin, there is no obvious connection between you and that account. By setting up your account this way, even the VPN doesn’t know who you are. This approach isn’t foolproof, but it definitely makes things more complicated for anyone trying to snoop on you. Despite the popular mythology, Bitcoin isn’t actually an anonymous cryptocurrency. Bitcoin is pseudonymous. It isn’t easy, but someone who is determined enough, and has sufficient resources, can probably find out your true identity if you use Bitcoin. But it is hard. Hiding your identity by using Bitcoin or other cryptos should deter all but the most determined enemies. 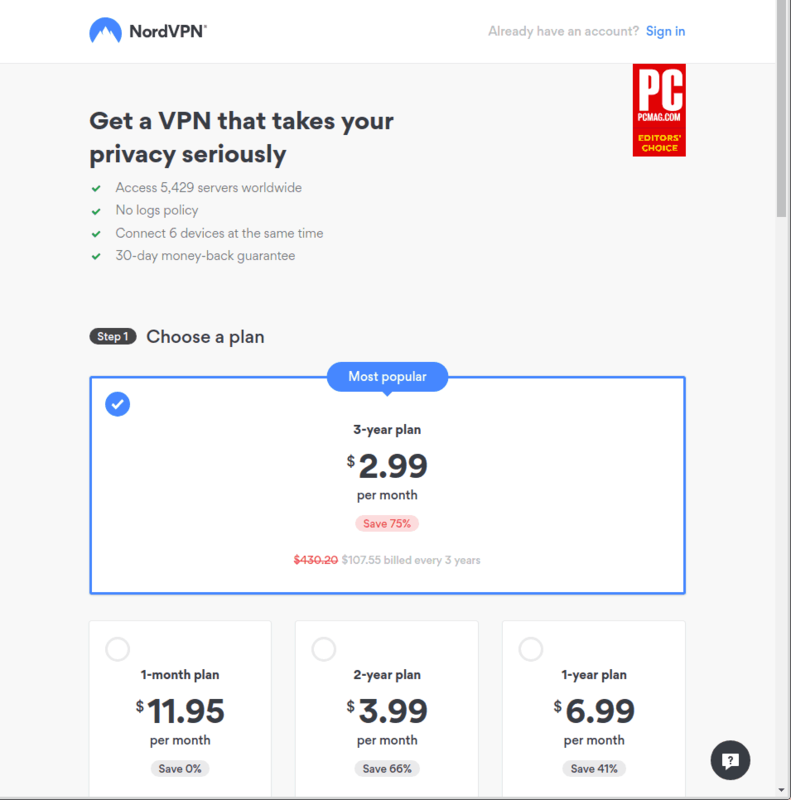 We go to the NordVPN website and click the Pricing link. This displays Step 1 of their signup process, a list of plans and their prices. After selecting a plan, we scroll down to Step 2, which requires entering an email address. You can use one of your regular email accounts for this, but remember that such an address could be used to track you down. There are lots of anti-spam or disposable email services you can use instead. Just be aware that the VPN service and possibly the service processing cryptocurrency payments will need to send information to this email address for you to complete your signup. In other words, you’ll need to have access to this account at least until you finish the signup process and payment processes. In Step 3, (see the preceding screen capture) we select Cryptocurrencies as our payment option. 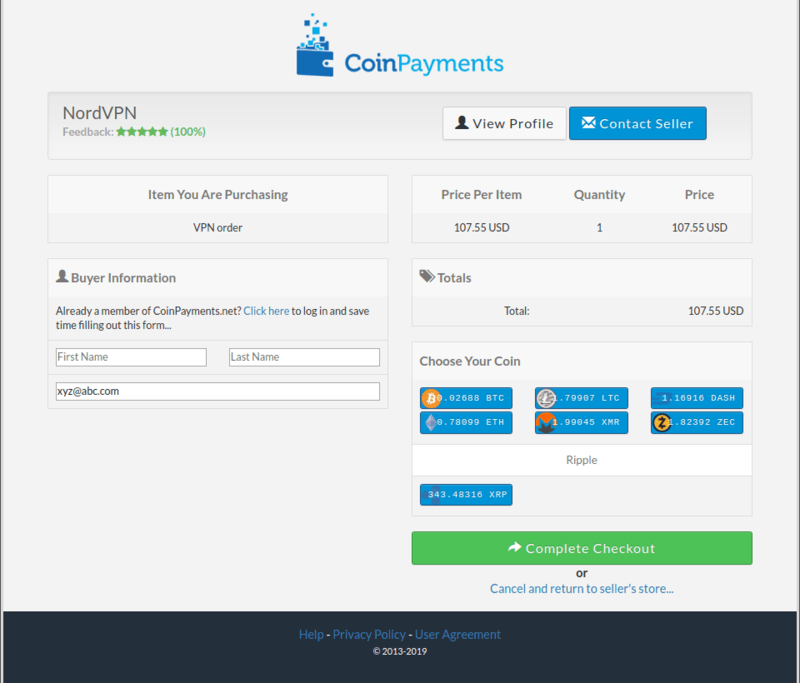 This causes a link (a red button in this case) to appear that takes us to CoinPayments, the service that NordVPN is using to handle cryptocurrency payments. Once we complete the transaction here, we return to the NordVPN site and finish setting up the account. The result is that we have an account we can log into for whatever term we signed up for (3 years in this example). All NordVPN knows about us is our IP address and an email address. They can’t divulge any more information about us because they don’t have any more information about us. The rest of this article features short reviews of each of these VPNs from the perspective of torrenting safely and paying for the service using Bitcoin (or other cryptos). Once we are done, we wrap up with a table of the pros and cons of each VPN to help you make a final decision. Note: Of course all the VPNs in this list allow torrenting and accept payment in Bitcoin so we won’t bother stating that in the reviews that follow. If they didn’t, they wouldn’t be included here. NordVPN ticks all our boxes for an ideal torrenting VPN that allows you to pay using Bitcoin. We have also written a detailed comparison of Nordvpn vs Expressvpn here. Torrenting is allowed on selected servers. Beyond allowing torrenting, they also work with major streaming services like Netflix, iPlayer, and Hulu, giving you access to even more content. NordVPN offers clients for Windows, Mac, and Linux operating systems as well as Android, iOS, and Android TV. Its client applications include kill switches, but these don’t all function exactly the same. You will want to check its support page to see exactly how the kill switch works for your specific operating system. The clients don’t appear to have any DNS or IPv4 leaks. As far as speed goes, NordVPN ranked in the top 10 in this ‘The Fastest VPNs for 2019‘ article. More importantly for our purposes, NordVPN was one of the fastest VPNs when used for torrenting, according to this 2018 study by AV-TEST GmbH. Between October 29th and November 8th, we invited the independent auditors to review our servers and code and to interview the employees in charge of maintaining our service. As far as we could tell, no stone was left unturned. The auditors’ goal was to see if our service lives up to our claims of providing a no-logs VPN service, and we believe we’ve passed the test. Although NordVPN offers a Dedicated IP address as an extra-price option, their default is the more secure shared IP addressing that we prefer. The NordVPN headquarters are in Panama. This country does not have any mandatory data retention laws, meaning they don’t force NordVPN to keep records for future government inspection. Beyond this, they are not part of the Five Eyes, Six Eyes, Eight Eyes, Nine Eyes, or Fourteen Eyes intelligence alliances. In other words, as far as we can tell, Panama isn’t required to spy on you and share the information with the United States and friends. NordVPN also scores well on more general-purpose characteristics of a VPN. You can connect up to 6 devices simultaneously. And they have reach too. As of March 2019, they claim over 5,400 servers spread across 60 countries. Note: In the interest of full disclosure you should know that your author uses ExpressVPN simultaneously on an Android smartphone, Windows 7, and Linux Mint. I find it to be definitely worth the premium price. If you don’t mind paying a premium price, this is an excellent VPN for torrenting and Bitcoin payments, as well as general-purpose use. Like NordVPN, ExpressVPN works with all the major streaming media services. ExpressVPN has clients for Windows, Mac, Android, and iOS. If you use Linux, you’ll need to do a simple command line installation. There are also instructions for setting up the VPN to run on more than a dozen different models of router. All the clients, even the Linux command-line one, include kill switches and block DNS and IPv4 leaks. There are also browser extensions for Chrome and Firefox. These browser extensions are interesting. Many VPN browser extensions protect only the browser itself. That means if you do something like run an email client or open your Bitcoin wallet application, they will not be protected by the VPN since they are not running in a browser window. The ExpressVPN extensions are instead interfaces to the full client. The downside to this is that you still have to install the full client. The upside is that everything on your computer or device is protected by the VPN, not just the stuff in the browser windows. ExpressVPN is fast. Depending on who is doing the testing and exactly how they do it, this service is almost always in the top 10 on speed tests, sometimes capturing first or second place. According to that AV-TEST GmbH study I mentioned before, ExpressVPN is just a fraction slower than NordVPN when torrenting. And both of them are far faster at torrenting than most of the VPNs tested for that study. ExpressVPN keeps no usage logs. They do, however, keep some aggregated connection logs. They state that the data they collect and aggregate is not data that can be used to identify a person. All IP addresses on ExpressVPN, are shared IP addresses. This service doesn’t even offer the option of a dedicated IP address. ExpressVPN is based in the British Virgin Islands (BVI). This Overseas British Territory manages its own internal affairs and has no mandatory data retention laws. At the same time, the Queen of England is the ultimate ruler of the BVI. The United Kingdom is part of the Five Eyes intelligence agreement, so it isn’t clear what would happen if the Queen leaned on the BVI to get logs from ExpressVPN, but we imagine that is very unlikely. However, it is one of the reasons we scored Nordvpn better in our Expressvpn vs Nordvpn comparison. 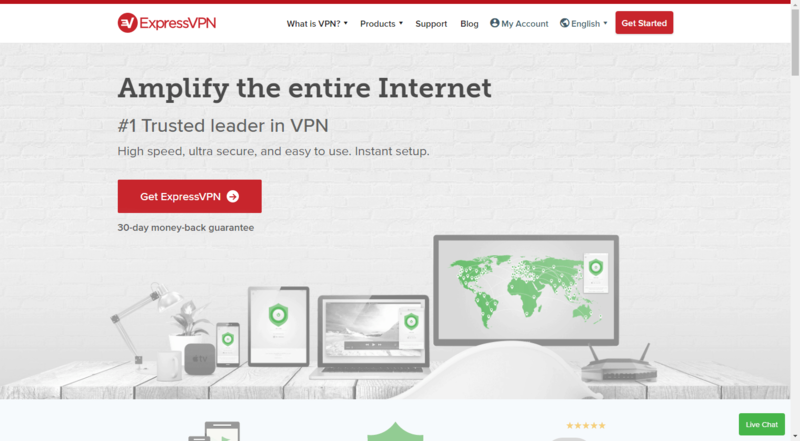 As far as general-purpose use of ExpressVPN goes, it is a fast, easy to use service that supports three simultaneous connections. The service claims 3,000+ servers located in 94 countries, making it great for accessing content that it geographically blocked. 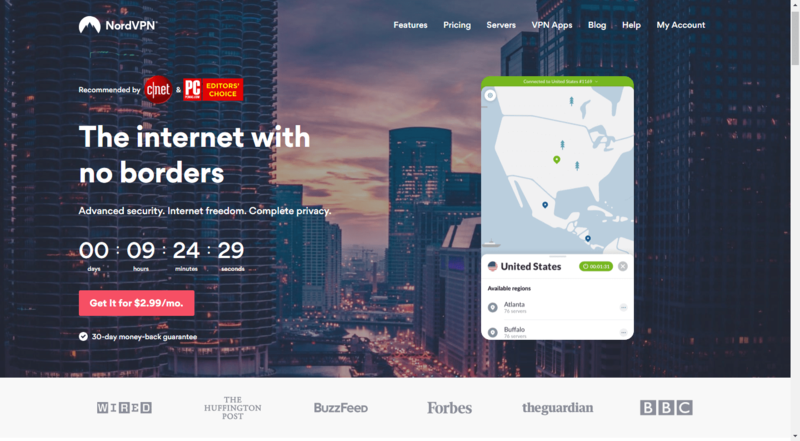 Other potentially useful features of this service include Smart DNS, a proxy service that lets you connect to services as if you are located in their country, without all the overhead of the full VPN. CyberGhost is a decent option for your “anonymous” torrenting needs. Their feature set is similar to that of NordVPN. Torrenting is allowed on many of their servers that are located outside of North America (presumably to avoid legal issues with copyright holders). They have a feature called Ghost Streaming to give you access to Netflix and similar services. These guys provide clients for Windows, Mac, iOS, Android, Android TV, and Fire Stick. You can use CyberGhost on Linux systems, routers, Raspberry Pi, and other devices, but you will have to do some fiddling to get it working. You can find instructions here. There are also browser extensions that allow you to connect to the service without installing a client on your device. According to their help pages, the clients for CyberGhost have kill switches built into them that function automatically. They also block DNS and IPv4 leaks. As far as speed goes, CyberGhost isn’t one of the fastest services you will find. However, it appears to be sufficient for torrenting, so this isn’t much of a liability. All users on a particular CyberGhost server share the same IP address to increase their security against tracking. With 3,700+ servers in 60 countries, CyberGhost’s network is almost as extensive as that of NordVPN. The CyberGhost headquarters are in Romania. This country has a reputation for protecting privacy and has no known connections to the Fourteen Eyes (or smaller) intelligence agreements. Add to that CyberGhost’s no-logs guarantee, and you should have a pretty secure service. This is all to the good. However, CyberGhost has been acquired by Kape Technologies, which under a previous name, Crossrider, was involved in some practices now considered somewhat shady. CyberGhost does have a few additional strong points to counter its possible drawbacks. One is their generous policy of 7 simultaneous connections, the second most generous of all the services listed here. The other big plus is the price. As of March 2019, CyberGhost was offering an 18-month subscription for only $3.75 per month. That’s about as cheap as it gets! PIA (Private Internet Access) has been around for quite a while. This author used them for years before switching to ExpressVPN in 2018. We find PIA to be less beginner-friendly than some of the other services in this list, but they offer lots of connection and encryption options for the more technically-inclined user. Torrenting works fine with PIA, but unfortunately, they don’t unblock services like Netflix and iPlayer. PIA provides clients for all the major desktop operating systems, along with Android and iOS devices. They also publish guides for connecting various routers and less-common systems to their network with OpenVPN. PIA clients include kill switches. It isn’t clear that the kill switch is activated by default, so you’ll want to check to confirm that it is on before you start torrenting. We’ve seen no reports of problems with DNS or IPv4 leaks. Like the other services we’ve looked at, Private Internet Access uses shared IP addresses. The PIA network has over 3,200 servers in 32 countries. More countries would be better, but this shouldn’t be a problem for most users. The speed of PIA isn’t anything to brag about. It is, however, sufficient to stream HD video so once again, it shouldn’t be a problem for most users. Privacy protection is where things get a little cloudy for PIA. PIA claims they keep no logs. This claim was tested in court more than once. One example is a 2016 FBI investigation where PIA was ordered to turn over information on a user. They don’t keep activity logs, so weren’t able to provide them. The only information they had to provide was the IP addresses that the FBI was interested in from PIA servers located on the East Coast of the United States. Another court case in 2017 gave similar results. Once again, PIA had no logs to give to the FBI. This no-logs policy is important since the company is now based in the United States. With the US government trying hard to spy on everyone and everything, being located here isn’t ideal. While PIA doesn’t normally log user activity, the US Government has been known to force VPN services to start logging user information while preventing the VPN from disclosing the change to its users. It is something to be aware of when evaluating your VPN options. While PIA isn’t perfect, it does have two additional benefits to consider. First is their incredibly generous connection policy. You can connect 10 devices to the network simultaneously. It’s hard to imagine the need for more connections than this. The other benefit is its pricing. As of this review, their 2-year plan is even less expensive than NordVPN’s. Best case, you could run 10 devices at once for only $3.49/mo. That’s hard to beat. As their statement says, the service is based on OpenVPN, rather than custom client apps. They do provide Eddie, an optional GUI FOSS interface to OpenVPN that includes censorship countermeasures. Eddie also includes a Network Lock feature which works like a kill switch. Since OpenVPN doesn’t include a kill switch of its own, if you decide not to use Eddie, you will need to configure each device’s firewall to perform the same functions. The service looks solid, although much of the content on their website is several years old. The documentation that does exist seems quite good, as shown be their detailed instructions on exactly how to configure the service for torrenting. AirVPN uses shared IP addresses, keeps no logs, and does no monitoring of their users. While AirVPN has a good privacy reputation and a great origin story, the fact that it is located in Italy could be a problem. Italy is one of the members of the Five Eyes, Nine Eyes, Fourteen Eyes, and similar intelligence organizations. AirVPN allows 5 simultaneous connections. Their network consists of an unspecified number of servers located in 15 countries. With its old documentation and less integrated app design, AirVPN is probably better suited to experienced VPN users than to beginners. That was a lot of information. In case you haven’t already decided which VPN looks best to you, we’ve put together this table with some of the key facts you will want to consider. Since all the VPNs we discussed here support torrenting, allow payments by Bitcoin and use shared IP address for greater security, we haven’t included that information in the table. Number of Servers 5,400+ 3,000+ 3,700+ 3,200+ ? Fast when Torrenting yes yes ? no ? 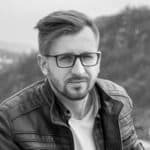 Previous articleBitcoin [BTC] & Dogecoin [DOGE] Price Analysis – Sharp Sell-off in Store for Bitcoin? Next articleXRP Price Prediction: Will XRP Rebound Above the Support Line?